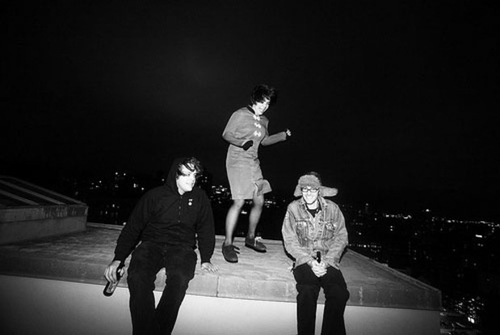 In case you missed Screaming Females popping into town for a minute at the end of October [or if you caught it and just want to relive it] there’s a whole recording of their set performed at 285 Kent from NYCTaper that totally rips. It’s basically the same set they played at The End a couple weeks ago, and the Screamales are on point. Check out a sample track below and snag the whole thing right here. Our favorite part might be the literal screaming female during the encore break. NYCTaper also put up a Tristen show from around CMJ time when they played at Cake Shop. If you slept on that one, you can snag it right here. Just go ahead and waste some time at NYCT snagging sick live recordings. Then email them and tell them how much you ‘preciate it. Thanks for the kind words about the site, and I’m glad you enjoyed the Screaming Females recording. The show was amazing. Just one minor correction, the second link intended to go to the Tristen recording actually goest back to Screamales again. Ah whoops! Should be fixed now.